Whether an entire kitchen remodel is in your future or you’re simply tired of the same old flooring, you don’t want to spend the time and money having your kitchen floors redone only to decide after, that you don’t like the look. 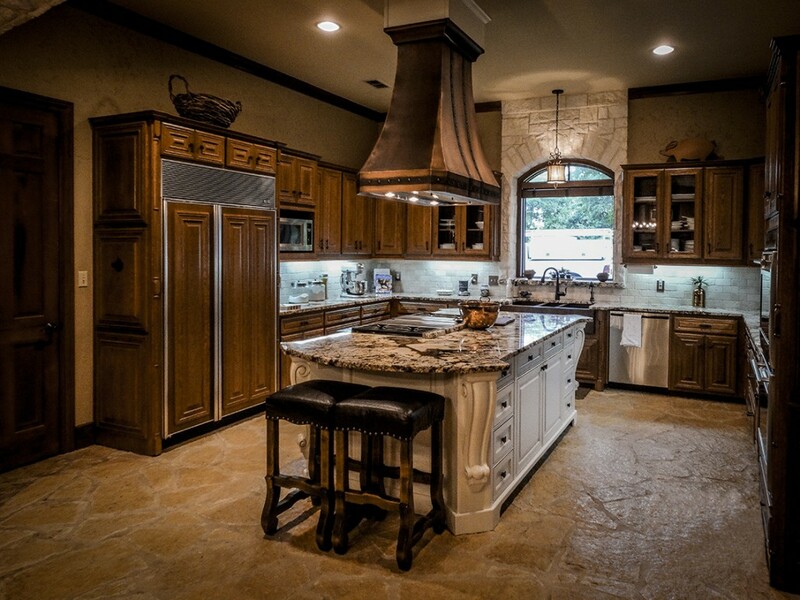 There are some new kitchen flooring trends for 2015 that could make your kitchen the most popular place in Boerne. The residents of Boerne are a conscientious community that want to enjoy the beauty of their homes while having a positive impact on the environment. So for many, that means choosing a flooring that is eco-friendly and can be continuously re-harvested. Introducing, Corkoleum. This antibacterial and antimicrobial option is a snap to clean. It also naturally absorbs noise and insulates, which will help in reducing heating and cooling costs. If instead, you’re looking for kitchen flooring that is durable, cost effective and comes in a wide variety of colors, styles and patterns, then porcelain might be the flooring you need in your kitchen. This flooring choice is rapidly climbing the trend latter and you could be leading the masses in Boerne. There’s no denying though, that rooms feel the homiest with hardwood. Always beautiful and with proper care, these floors really could last a lifetime. If you’re leaning towards updating your kitchen floor in Boerne, opt for American hardwoods. American tree farms do a good job of replenishing the trees that are removed and it’s more cost effective than having something shipped in from overseas. There are so many choices out there for kitchen flooring that it can be overwhelming. MM&I Remodeling in Boerne can assist you in choosing the best flooring that matches your style and needs and makes you fall in love with your kitchen all over again.